When I logged in today to Stack Overflow, I saw a +404 reputation points gain on "Recent Achievements" button. 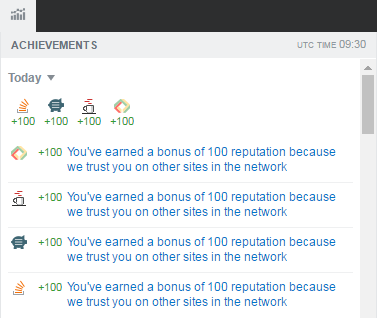 When I clicked on it, I found +100 reputation is gained (as association bonus) for all four communities on Stack Exchange each those I am associated with. All other communities except Stack Overflow was showing the gain correctly. This combine makes +300. 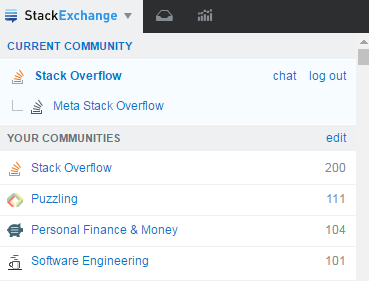 Stack Overflow on other hand only shows a total of 200. I do not remember exactly, but it was around 193 before that. Hence the gain is only +7. Why are reputation points not fully updated after the association bonus? I read this question. It says "hitting the daily reputation cap" of 200 is the reason. Is this cap per community or for entire Stack Exchange? It must be per community as for other three communities there is +300 increase in reputation points. Another question does not match with my scenario I guess. If for any reason, +100 reputation gain was not applicable for Stack Overflow, why only +7 is gained. IMHO, it should be fully added or fully cancelled. In below image, it shows total reputation is 200. In below image, it was showing total reputation 300 for Stack Overflow few time back. Now, it is showing 200. Look at tooltip in below image. It is still showing 300 reputation. For this question, issue was automatically resolved after 4-5 days. So I will wait now. This is still not corrected. Please suggest what my next step should be? This is fixed automatically, I can see the corrected reputation today. Wait for 7-10 days, this may get corrected automatically due to some trigger as mentioned in linked questions in my post. If it does not happen, post a question on meta. Do NOT use bug tag initially. Wait for few days. If this still does not reflect, add a tag bug to your question because your case MAY BE different than this. Wait for few days. Flag the question for moderator attention which I was planning to do after 4-5 more days of waiting. Not the answer you're looking for? Browse other questions tagged support bug reputation reputation-history association-bonus . My reputation is not increasing?